This isn’t the first time there has been a wave of clown sightings in the United States. 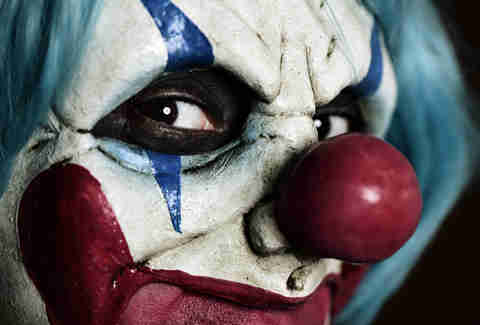 After eerily similar events occurred in the Boston area in the 1980s, Loren Coleman, a cryptozoologist who studies the folklore behind mythical beasts such as Bigfoot and the Loch Ness Monster, came up with something called “The Phantom Clown Theory,” which attributes the proliferation of clown sightings to mass hysteria (usually sparked by incidents witnessed only by children). Jesters and others persons of ridicule go back at least to ancient Egypt, and the English word “clown” first appeared sometime in the 1500s, when Shakespeare used the term to describe foolish characters in several of his plays. The now familiar circus clown – with its painted face, wig and oversized clothing – arose in the 19th century and has changed only slightly over the past 150 years. Nor is the trope of the evil clown anything new. Earlier this year, writer Benjamin Radford published “Bad Clowns,” in which he traces the historical evolution of clowns into unpredictable, menacing creatures. Following the notoriety of Gacy, Hollywood exploited our deep ambivalence about clowns via a terror-by-clown campaign that shows no signs of going out of fashion. 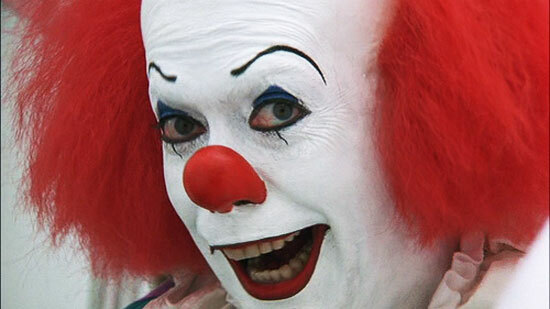 Pennywise, the clown from Stephen King’s 1990 movie “It,” may be the scariest movie clown. But there are also the “Killer Klowns from Outer Space” (1988), the scary clown doll under the bed in “Poltergeist” (1982), the zombie clown in “Zombieland” (2009) and, most recently, the murderous clown in “All Hallow’s Eve” (2013).